Behind every great day is a great night at the Comfort Inn and Suites East Hartford-Hartford hotel near Trinity College. 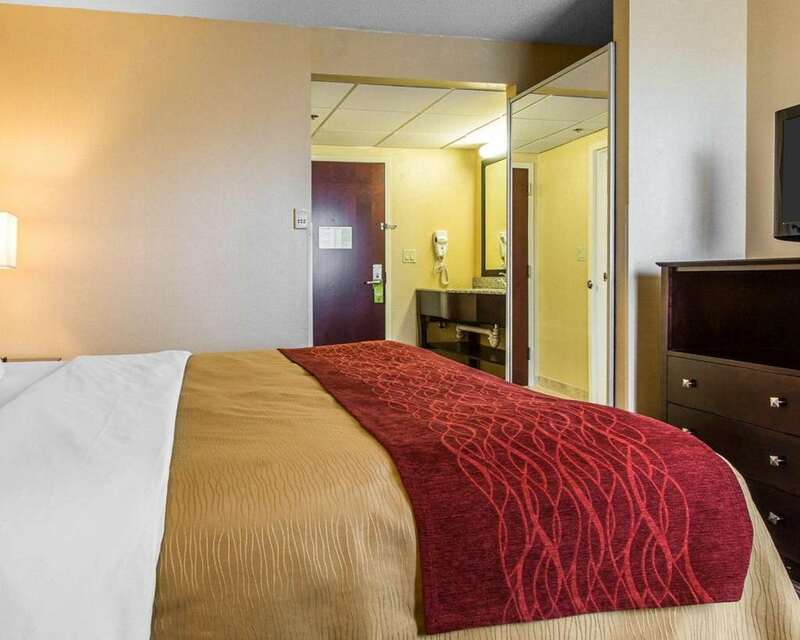 We are also just minutes away from popular sites and activities like the University of Hartford, downtown Hartford, Bradley International Airport and the Mark Twain Museum. Corporate travelers can easily get to several businesses throughout the area, some of which include Pratt and Whitney, United Technologies Corporation and Bank of America. Take advantage of our free hot breakfast, free WiFi, free weekday newspaper and guest laundry facilities. Guest rooms include flat-screen TVs and more. Also, earn rewards including free nights and gift cards with our Choice Privileges Rewards program.